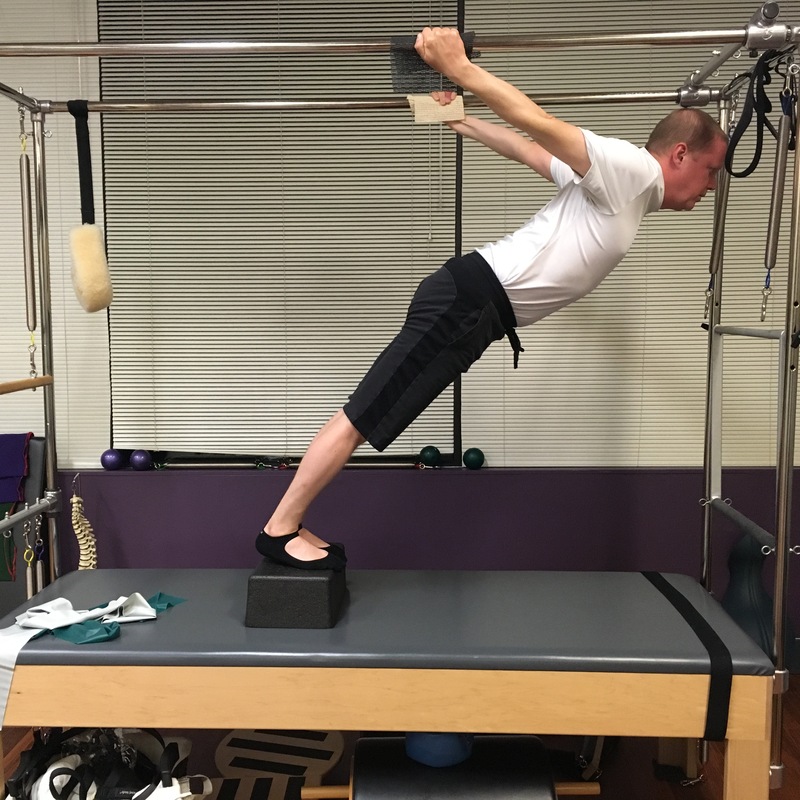 John first came to Soma Pilates after persistent back issues, and has made tremendous progress in the years since. He’s not only become healthier and stronger, but has also become a better, more resilient scuba diver! Q: When did you start pilates and what led you to Soma Pilates? A: I don’t remember, but I injured my back in December of 2013 and struggled for 6 months with a bulging disk (L5/S1). I had a cortisone shot, which helped short term but going to a physical therapist at that time actually made me worse. 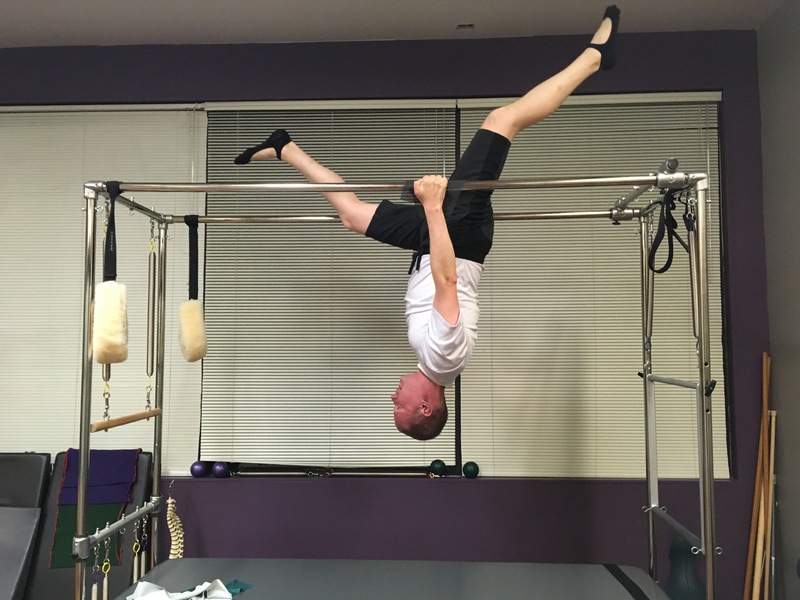 A friend who was going through the exact same injury suggested Soma Pilates. When Janet first met with me, she recommended a physical therapist that I should see before I started at Soma Pilates. I couldn’t believe that I found a place that was focused on my best interest instead of just filling their studio with students. 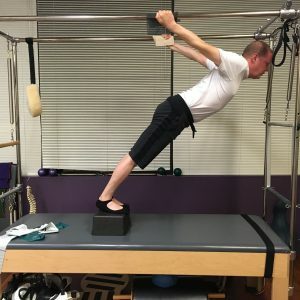 I had a great experience with the PT that Soma Pilates recommended and then, a few months later, started my journey here. Q: How has pilates helped the conditions you came in for and why do you enjoy pilates? A: It is crazy to say this, but I am thankful for my injury. I am in such a better place now than I was before I hurt myself. I am so gla d that I decided to put in the effort, first at PT and then with Soma Pilates instead of taking the surgical solution. I’ve gone from a person who couldn’t even walk with a natural gait pattern (I had to walk hunched over during the worst of it!) to someone who’s working out daily and keeping up with the rest of the students in the most advanced class that Soma has to offer. Q: What are your favorite movements from pilates? A: This is a funny one. I’d say my first 12-18 months with Pilates was somewhat frustrating. The team at Soma rightfully focused on strengthening all of my stabilizer muscles. Workouts weren’t fulfilling in the traditional way that they had been in the past for me. For example, I never left sweaty. However, I stuck with it, in part because I could tell how strong my instructors were. 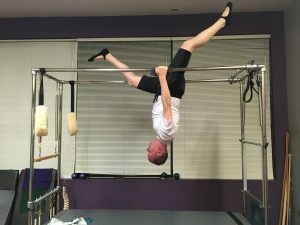 Once I was able to master the basics (which definitely took a while), the door opened to all kinds of mentally and physically challenging movements. I’m a fan of anything that challenges my balance and works my core at the same time, but I’ve learned to “love” the movements that I’m not good at… it’s focusing on those that has gotten me to the next level.